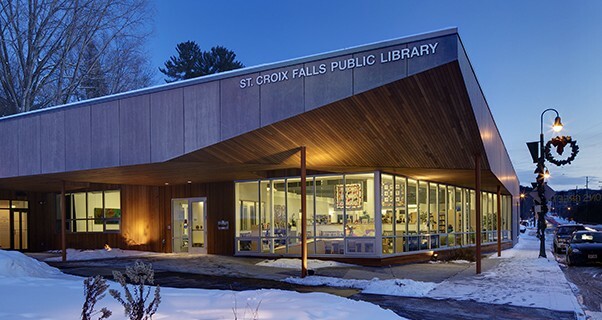 Formerly served by a dingy 1,800 square feet space, the residents of St. Croix Falls longed for a library that was more than just a book depot. With this 7,500 square foot renovation, the design team utilized sustainable principles to create a comfortable community space with a contemporary aesthetic. 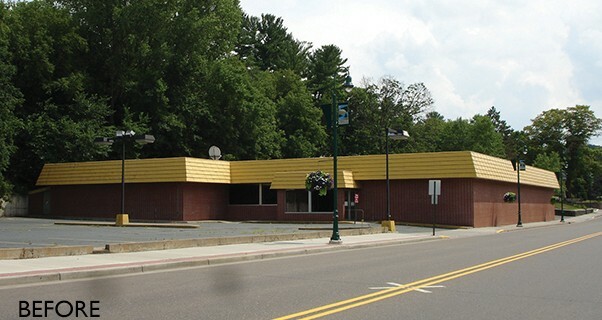 The challenge was adapting an abandoned grocery store that stood empty for 11 years. Taking design cues from the community’s interest in developing a progressive, sustainable vision for the community’s future. Local prehistoric volcanic trap rock was included in the polished concrete floors of the Library’s interior. The primary heating source is a solar thermal rooftop array that provides primary heat for the building’s radiant floors. 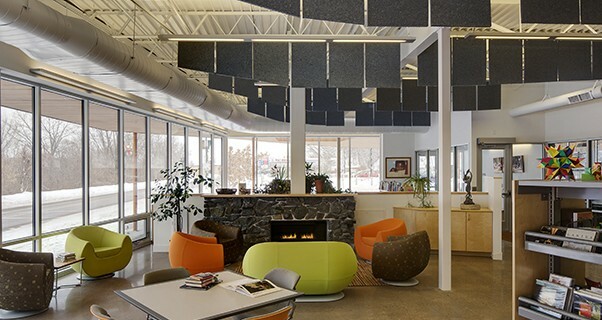 Sound absorptive hanging ceiling panels are cut from a topographic survey of the community’s river valley.